RSAC has a long and well established track record in successfully providing operational services based on remote sensing data: for many years, we provided services to the UK Department for Environment, Food and Rural Affairs (Defra) and the Welsh Government (WG) for the Remote Sensing Control of European Area-based Agricultural Subsidies. We also have a long history of providing scientific and technical support to various groups within ESA. Over the last 30 years, RSAC has been involved in a wide range of research and application development projects on agricultural, forestry and environmental topics with UK agencies, the European Space Agency, the European Commission and international partners. Some of the activities in which the company has recently been engaged are presented below. 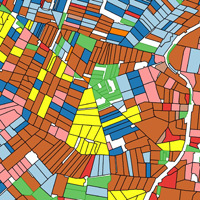 In collaboration with the NERC Centre for Ecology and Hydrology (CEH), RSAC produces CEH Land Cover® plus Crop Map, an annual agricultural land cover layer derived from Copernicus Sentinel radar and optical data in the framework of the National Land Cover Map. CEH Land Cover® plus Crop Map was developed with support from Innovate UK (Land Cover plus: national agricultural land cover information for the water industry) in a collaboration with Anglian Water, who tested the utility of a prototype product. Crop Map 2015 was the first ever detailed annual crop map of the whole of the UK. Landscape Watch Hampshire is an innovative community project to characterise the county’s landscape in 2005 and 2013 by analysing aerial photos held by Hampshire County Council and thereby identify the changes that have taken place over a period of eight years. RSAC developed the project in collaboration with the University of Portsmouth as part of an Innovate UK funded project to investigate the potential to achieve detailed analysis of large volumes of satellite data or aerial photography for change detection and land cover mapping using an automated online crowdsourcing software application. RSAC has undertaken several activities to develop novel methodologies and software systems for catchment scale analysis combining satellite-derived agricultural land cover information and hydrological modelling techniques to assess the risk of water pollution from diffuse agricultural sources and plan appropriate mitigation. 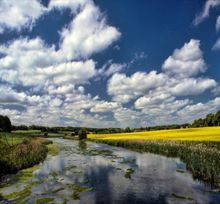 Clients have included the Environment Agency (through Defra’s ‘Earth Observation Data Integration Pilot’ research programme) and several water companies and water industry research groups. RSAC also lead a multi-disciplinary Newton Agri-Tech collaboration between UK and Chinese partners to inform recommendations for Catchment Sensitive Farming practices in rural China. 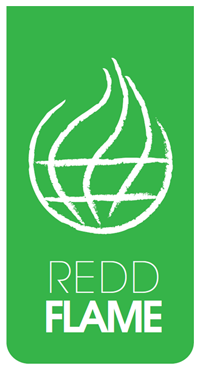 RSAC managed the REDD-FLAME project, a collaborative FP7 project involving eight partners (SMEs, universities and NGOs) on 4 continents. Through high resolution forest mapping and change detection using optical and SAR data, a system was developed for the early identification of unauthorised tree removal as a means to facilitate intervention and reduce deforestation and forest degradation in the context of the UN-REDD Programme. One of three test sites was the Mecuburi Forest Reserve in Nampula Province, Mozambique. Through this work, RSAC has an excellent understanding of the nature of forest and agricultural landscapes in Mozambique, and the issues relating to their mapping using remote sensing techniques. User consultation and later dissemination activities allowed RSAC to establish contacts with many stakeholders in the fields of Mozambican forestry and rural development. Further test sites were located in Indonesia and Brazil. RSAC later led a project to map land cover change in rural Mozambique to support planning for sustainable plantations with the World Bank as part of ESA’s ‘Earth Observation for Development’ (eoworld) Value Adding Element (VAE) initiative. Since 2002, RSAC has been providing, on behalf of ESA, mission planning support for the CHRIS instrument onboard the Proba-1 satellite. The Proba mission objectives are primarily for in-orbit demonstration and evaluation of new technologies. CHRIS (Compact High Resolution Imaging Spectrometer) produces optical earth observation imagery in a variety of modes that comprise up to 36 discrete bandwidths. It has a relatively modest imaging capacity which, at best, amounts to three image acquisitions across the globe per day. RSAC has the task of matching the high demand for CHRIS data from the user community with the limited supply. We currently serve approximately 100 scientists and 250 study sites. A wide variety of applications - land, sea and atmosphere - are supported.